Speaking about relations with Iran during a visit to Baku by President Hassan Rouhani, President Ilham Aliyev said Iranian-Azerbaijani friendship is unbreakable and no extraneous force can split it. “These relations have risen to a new level in recent months," the president said after the signing ceremony of Memoranda of Understanding between the two countries. "Regular contacts, mutual visits of high-ranking officials, the support rendered to each other in international organizations clearly shows the high level of our political relations," he said. President Aliyev said that there are excellent opportunities on the economic front. He stressed the North-South transport corridor is of great importance not only for Iran and Azerbaijan, but also for the whole region. However, Iranian-Azerbaijani friendship and partnership are stabilizing factors here, he added, expressing confidence that stability will be restored in the region in the future as a result of joint efforts of Azerbaijan and Iran. Good cooperation has been established in the humanitarian field and that is not accidental, since Azerbaijani and Iranian people have lived and worked together for centuries, the head of state said. “We are working on concrete projects. Implementation of infrastructure projects, cooperation in the banking sector and other projects are under consideration,” Aliyev said. Azerbaijan always feels Iran’s support in the settlement of the most important problem for the country – Armenian-Azerbaijani Nagorno-Karabakh conflict, President Aliyev said at a joint briefing with his Iranian counterpart. 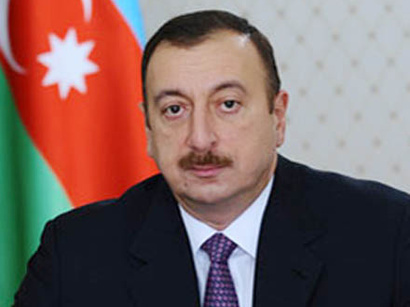 The settlement of the Nagorno-Karabakh conflict will naturally bring peace to the region, Ilham Aliyev said. During the visit, the two sides signed agreements on cooperation in energy, economy, communications and information technologies, as well as cooperation in regulation of border rivers and coastal management between the two countries. Moreover, Azerbaijan and Iran signed a joint declaration on friendship and cooperation, which will serve to strengthen trust and comprehensive cooperation between the two countries. After the signing ceremony President Rouhani thanked Ilham Aliyev, saying he was happy to arrive in brotherly, friendly, neighboring Azerbaijan, accompanied by a large delegation. He added, that the two countries have come to an agreement at the extended and one-to-one meetings to further develop the relations, as well as to do this in a more open and transparent manner. Rouhani said Iran and Azerbaijan must establish relations in power engineering, trade, industry, construction of dams and power stations, the delivery of new technologies, scientific and research centers. “We can reach Europe through Azerbaijan and the Caucasus. Azerbaijan can reach the southern corridors and oceans through Iran. Our countries must use this corridor better, take advantage and further expand it,” he noted. Touching upon the Armenian-Azerbaijani Nagorno-Karabakh conflict, the Iranian president said his country is not satisfied with the current situation in Nagorno-Karabakh. The president said Iran regards this as its task within international organizations, and that the Karabakh issue should be resolved through political means. Rouhani further said both presidents, at the one-on-one meeting, agreed that the two countries will not allow any outside forces to damage their relations. “Our path is friendship, brotherhood and unity,” Rouhani said, adding that Iran has always defended and supported Azerbaijan in all international organizations - UN, Organization of Islamic Cooperation, ЕСО and other organizations. On the second day of the visit, an Azerbaijani-Iranian business forum has been held with participation of the presidents at the Heydar Aliyev Center in Baku. The Iranian president completed his visit to Azerbaijan on November 13.